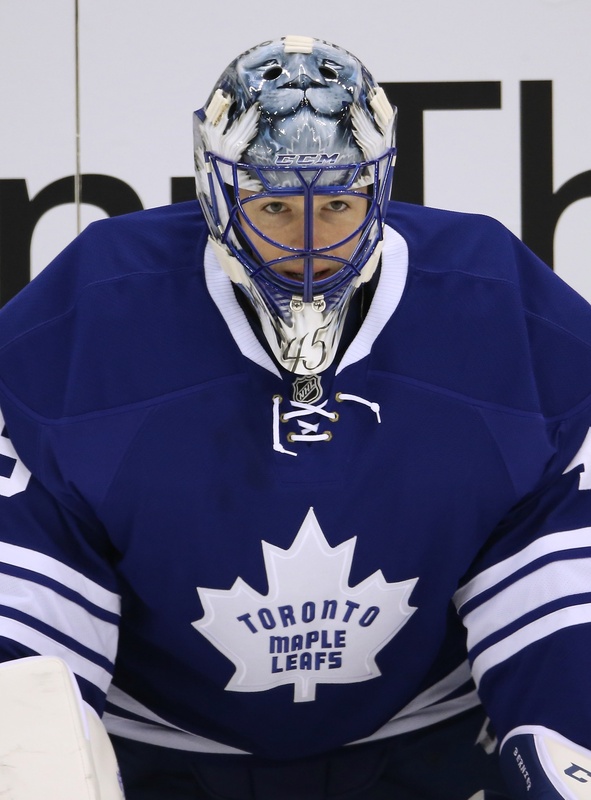 Toronto Maple Leafs netminder Jonathan Bernier just can’t catch a break. He was between the pipes for his club’s 4-2 loss to the Washington Capitals on Saturday and is still winless, dropping to 0-8-1 with a .888 save percentage and a 3.28 goals against average. Bernier has been given the opportunity to start with James Reimer out of action with a lower body injury, but the 27-year-old from Laval hasn’t exactly been building a foundation of trust. Bernier gave up a goal on the second shot in the first frame and also let in the first shot in the second period, solidifying his reputation for letting in early goals. He’s been the easy target for the Leafs, who find themselves in a three-game losing streak. Depending on who you ask, Bernier either didn’t even “wave” at the knuckler that floated past him in the first period or he caught a bad break. That’s the thing about goaltending: it’s hard to discuss it in absolute terms. But what matters now is the fact that Bernier just isn’t doing it for Toronto. In the game against Washington, the Maple Leafs managed to keep the puck out of their own end for considerable portions of play and even held the dangerous Capitals to just one shot in a period of 17 minutes. That ended when Bernier and Morgan Rielly got their wires crossed. And again, describing the second period goal comes down to semantics. Some consider it a botch of epic proportions, while others blame Rielly for overskating the puck and leaving Bernier hanging. At least Bernier has a measure of empathy coming from somewhere. The Maple Leafs faithful had little for him, with Bronx cheers raining down whenever he made the most elementary of saves. So what happens now? There is no faith in Bernier in Leafdom, I can tell you that. The team hasn’t quite given up entirely on their netminder, but you have to think it’s coming soon. The fans are way past trusting the goalie, too, and right now almost anyone is looking like a better option. Babcock considered throwing Garret Sparks in the net, for crying out loud. Don’t be surprised if the situation in Toronto gets worse before it gets better. Bernier will be out by season’s end, packaged in some sort of deal that finally handles the situation the way it should’ve been handled in the first place. Or he’ll languish in the Maple Leafs net, endure the jeers, play the part of scapegoat for all that ails this ailing franchise. Either way, it’s hard to imagine a winner. Next What’s the Deal with the Arizona Coyotes?